If you are an audiologist reading this, how confident are you that all the essential information and advice you give your first-time hearing aid patients are understood, absorbed, and then acted upon, once they leave the comfort of your clinic room? Hearing aids may be small, and look simple. However, they are complex electronic devices, difficult to use, and take time to get used to. They do not return hearing to ‘normal’, and there is often a mismatch between the benefits of hearing aids that patients and family and friends perceive. Each, and all, these reasons contribute to the ‘kitchen drawer syndrome’. This is despite hearing aids being shown to be clinically- and cost-effective. Commonly attributed to Sir Francis Bacon in 1597, the power of knowledge has more recently been recognised as a key component of patient-centered care and self-management of hearing loss. National guidelines (e.g. BSA, NICE), recommend good quality information for patients and family members. 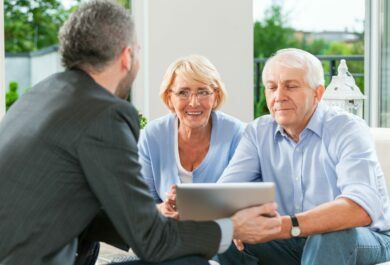 Patient education to promote knowledge on hearing loss, hearing aids and communication is often delivered verbally by audiologists, yet it is widely recognized that clinical information is often not retained. “By the time you get home, you’ve forgotten most of it”, is a refrain that many patients (and audiologists) will be familiar with. And it’s not just patients, knowledge is poor for partners, non-hearing health and social care professionals, and the public. So what can be done about this? Well, let’s consider knowledge exchange in terms of technology to supplement audiologist’s advice for hearing health (eAudiology). We have co-produced an interactive, multimedia educational intervention (C2Hear) for hearing aid users and audiologists that provides high-quality information and demonstrates complex concepts. Remote delivery of C2Hear through the internet and mobile technologies (e.g. smartphones, tablets) enables easy access and a wide reach. To date, the freely available C2Hear Online has had >130,000 views internationally from >50 countries (38% from North America). A US version has been developed and we have plans for a Chinese version. A large randomized controlled trial of hearing aid users has shown that C2Hear resulted in better knowledge and practical hearing aid handling skills, and increased hearing aid use. Patient activation and self-efficacy were increased, and anxiety was reduced. Patients liked C2Hear, reporting that it was highly useful, enjoyable and preferable to written information. 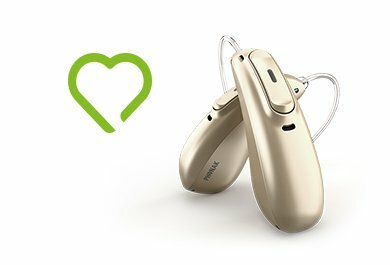 Over half the hearing aid users reported that they used the RLOs two or more times, suggesting self-management of hearing loss. To futureproof C2Hear and to move away from the current ‘one size fits all’ approach, a new m-health program specifically designed for use with mobile technologies has been designed to meet the needs of the individual (m2Hear). It consists of a series of 42 short clips (~1min) and includes more activities/interaction to maximize user-engagement and learning. M2Hear is currently being trialled. Preliminary results show that users rate the quality of m2Hear and perceived impact on behavior change highly. To promote inclusivity, we have a developed a mobile-enhanced version of Communication Tactics for patients and their communication partners (CPs) to use together. Results show that this ‘joint-working’ highlights communication challenges, prompts novel discussions about communication, and helps CPs change behavior to improve communication. To quote Matt Mullenweg, “technology works best when it brings people together”. In coming weeks, Dr. Ferguson’s recorded webinar on this same topic will be available on Phonak Learning (accessible in participating countries). Watch for its promotion on social media or search #eaudiologyphonak directly on LinkedIn, Twitter and Facebook. For more information on all eAudiology webinars, please visit https://learning.phonakpro.com. Wonderful work being done on this. I meet many people who ‘manage’ without hearing aids. Help on the go may well meet their needs and persuade them to come into the fold of those of us for whom Hearing aids have transforbef our lives. Thanks for sharing such a useful information about eAudiology. It is really beneficial for hearing aid users. Mel’s translational research program on mild to moderate hearing loss aims to promote healthy hearing by reducing activity limitations and participation restrictions. Her research focuses on (i) e-health and self-management, (ii) listening and cognition, and (iii) listening devices. 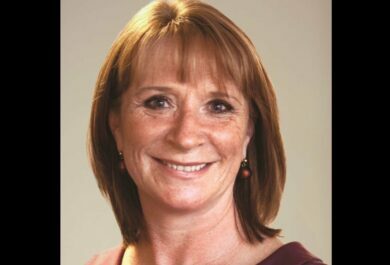 Previously, Mel worked at the MRC Institute of Hearing Research, and was the head of the Clinical Section for 5 years up until 2009.